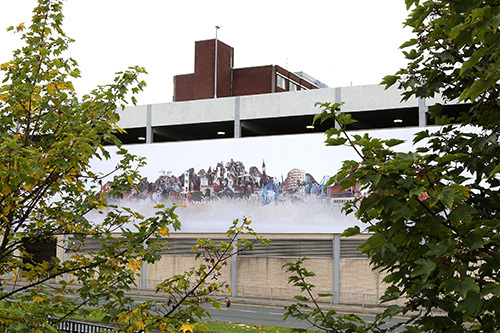 Artist Gayle Chong Kwan has been commissioned to launch a new large-scale biennial photography prize in Stockton-on-Tees. Following a period of local historical research and engagement with residents of Stockton and the surrounding area, Chong Kwan has created a new landmark, ‘Arripare’. The work is a mythical island seemingly hovering between arrival and appearance or departure or disappearance. Combining complex multiple techniques of documentary photography, collage and sculptural construction, the island is rooted in the context and history of its location and the river which runs alongside it, and yet enveloped in mist, the island could be located in the past, present or future, sighted in the midst of a vast ocean or be hovering somewhere in the clouds.